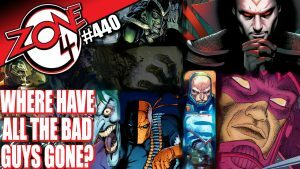 The crew of Zone 4 returns to discuss comic book villains! Where have all the good ones gone? Why are so many reused? Why are there not more credible threats being introduced? All this and more on this week’s episode of Zone 4!